What is Caribbean clinical placement rate (at affiliated hospitals in the U.S.)? Students pursuing the medical programs in the Caribbean Medical Schools complete the Basic Sciences or the Theories in the first two years generally and then take the United States Medical Licensing Examinations (USMLE) Step One prior to pursuing the clinical trials or the clinical rotations in the University affiliated hospitals. In either of the cases, the USMLE Scores would be considered vital as the quality indicator of the university’s curriculum. The students who pursued the Medical Programs will be redirected for the clinical rotations at the final phase of the course. The clinicals can be pursued in the affiliated hospitals of the University. On successful completion of the Clinicals, which is generally of two years duration, the students will be placed in the hospitals or other healthcare institutes or other medical organizations. Good scores in the theory examinations conducted by the University as well as equally good performance in the clinical trials will be crucially considered for the placement of the students. There were 16,893 U.S. medical graduates in 2011, and there were 26,158 total residency positions available in the United States. This means that the difference of 9,265 spots were available to the graduates that include U.S. D.O. (Doctor of Osteopathic Medicine) graduates, Canadian medical school graduates, and all International Medical Graduates (IMGs) from all over the world, regardless if they are a U.S. citizen, Canadian citizen or a citizen of any other country. In order to continue the Internship of the students for the course they have pursued or undertaken, it is mandatory to clear the internship or the Residentship programs. To get settled in the US, i.e. to get involved in the Residency programs in the US, the students need to clear the USMLE examinations. The level of the examinations (i.e, Step 1, Step 2, Step 3) depends upon the programs and the duration of the internship of the programs or the course. Study Abroad Opportunities brings the advantage of the same clinical exposure and opportunities as the hospitals’ home medical students. Many past students cite this as an advantage in applying to U.S. residencies. Other overseas medical schools allow students U.S. clinical rotation opportunities, though usually on a more case-by-case basis. Caribbeanmedicalschools.com is an educational website that lists all the universities in the Caribbean country-wise so that the students would make it easy to choose the right institution overseas with ease. The Medical Schools in the Caribbean teach, train or conduct clinical research which includes nursing, medicine, dentistry and pharmacy. This entry was posted in Educational News and tagged best caribbean medical schools, best international medical schools, caribbean medical schools, caribbean medical universities, medical schools in caribbean. For people who may be headed for type 2 diabetes, regularly eating pistachios might help turn the tide, according to a new trial from Spain. People with so-called prediabetes have blood sugar levels higher than normal but not yet in the diabetes range. If they do nothing, 15 to 30 percent will develop diabetes within five years, according to the U.S. Centers for Disease Control and Prevention. In the new Spanish study, people with prediabetes who ate about two ounces of pistachios daily showed significant drops in blood sugar and insulin levels and improvements in insulin and glucose processing. Some signs of inflammation also dropped dramatically. Although the trial specifically involved pistachios, many previous studies have found encouraging evidence that eating nuts may be linked to a lower risk of heart disease and lower cholesterol, the authors write in Diabetes Care. 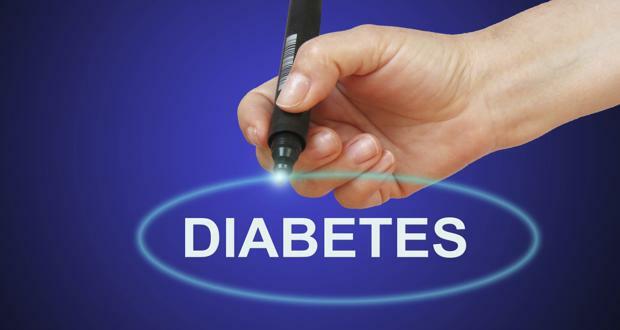 The study team divided 54 prediabetic adults into two groups. Both groups were instructed to keep to a calorie-regulated diet with 50 percent of energy from carbohydrates, 35 percent from fat and 15 percent from protein, using provided menus and seasonal recipes. 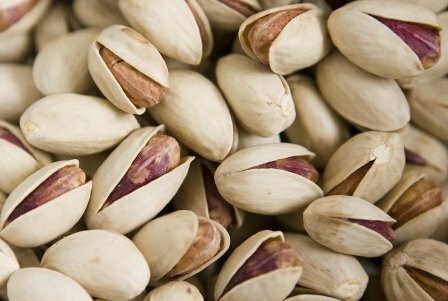 One group was given 57 grams of pistachios, about two ounces, daily to add to their diets. To match those calories, the comparison group added olive oil and other fats for the four months of the study. By the end of the study, fasting blood sugar levels, insulin and hormonal markers of insulin resistance had decreased in the pistachio group while they rose in the comparison group. Participants’ weight did not significantly change by the end of the study in either group. But glucose-use by immune cells involved in inflammation, as well as circulating inflammatory signaling molecules both dropped in the pistachio group, the authors note. “Although pistachios were examined in this work, I believe that any beneficial effects on glucose metabolism are shared by all nuts, as they have a general composition with lots of bioactive compounds liable to beneficially affect biological pathways leading to insulin resistance and diabetes,” said Dr. Emilio Ros, director of the Lipid Clinic of the Endocrinology and Nutrition Service at Hospital Clínic in Barcelona. He was not part of the new study. Researchers from the Universitari Hospital of Sant Joan de Reus, in Reus, and the Instituto de Salud Carlos III in Madrid collaborated on the trial, which was funded by American Pistachio Growers and Paramount Farms. “The nut industry always supports clinical or experimental studies with their nuts, otherwise no such studies would be carried out,” Ros told Reuters Health by email. He believes the evidence is strong enough for people with prediabetes to add pistachios, or other nuts like peanuts, to their diet, and recommends about “a handful” per day, or around one serving. “This particular study builds on previous research on pistachios,” said Dr. Joan Sabate, professor of nutrition and epidemiology at the School of Public Health at Loma Linda University in California. Sabate has also researched nuts, principally walnuts, but was not involved in the new study. “There are some indications that eating pistachios on a regular basis lowers fasting glucose and lowers insulin and hormone ratio, which is particularly relevant in prediabetic subjects because unless they do a change in lifestyle they will end up being diabetic,” he told Reuters Health by phone. Results with almonds and walnuts have been similar, he said. Pistachio allergies are rare, but nut allergies generally would be the only deterrent to adding them to the diet, Ros said. Typically people with prediabetes are adults so they already know if they have a nut allergy, Sabate said. Pistachios are very rich in energy, he noted, so it would be better to incorporate the nuts into the diet without increasing your total calorie intake. Basic Sciences are vital to learn the vocabulary and grammar of medicine. Clinical rotations are something different – it’s where one actually learns to be a physician. Whereas the Theories are pursued from anywhere – either online or on campus, the Clinical Rotations have no such options and can be pursued only in the affiliated hospitals. On successful completion of the Basic Medical Science curriculum from a relevant Medical University, the next step will be the Clinical Rotations or the Clinicals. To get enrolled into any clinical clerkship in any hospitals, student must have successfully completed the academic examination from the recognized Medical University. In general, the clinical clerkships will be of two years duration. Students are required to start clinical clerkships not later than 2 semesters (8 months) after the completion of Basic Medical Sciences. Students are advised to give the Administration or Clinical Department at least two weeks notice, informing the department of their intent to begin Clinical Clerkships and choice of clinical sites / hospitals. One of the basic facts concerning the Clinical Clerkships is the Residency Programs or the Internship Programs wherein the students would take the USMLE exams to settle in the US with the concerned trade or profession.. Transfer students from the accredited or recognized Medical Schools would be eligible to apply to different Medical Universities throughout the world. But in such cases, it is mandatory for the students to demonstrate that the Basic Science part has been successfully completed at the previous medical school and provide Step1 results of the USMLE Examinations, if available. In the absence of USMLE (step 1) examination result, a student may be allowed to commence clinical rotation upon demonstration of very high scholastic achievements by the student in other examinations deemed equivalent to USMLE step 1 or other forms of assessment by the admission committee of the University. This entry was posted in Educational News and tagged best caribbean medical schools, best international medical schools, caribbean medical schools, medical schools in caribbean. A new study has found energy drinks can cause heart problems. The current study analysed adverse events reported to the agency between 1 January 2009 and 30 November 2012. Some 15 specialists including cardiologists, psychiatrists, neurologists and physiologists contributed to the investigation. The findings were compared to published data in the scientific literature. The researchers found that consumption of the 103 energy drinks in France increased by 30% between 2009 and 2011 up to over 30 million litres. 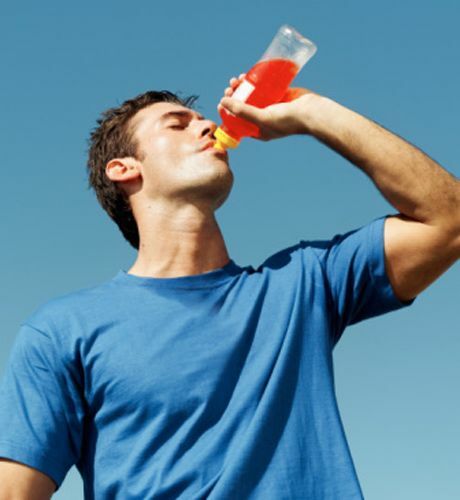 The leading brand made up 40% of energy drinks consumed. Two-thirds of drinks were consumed away from home. During the two year period 257 cases were reported to the agency, of which 212 provided sufficient information for food and drug safety evaluation. The experts found that 95 of the reported adverse events had cardiovascular symptoms, 74 psychiatric, and 57 neurological, sometimes overlapping. Cardiac arrests and sudden or unexplained deaths occurred at least in 8 cases, while 46 people had heart rhythm disorders, 13 had angina and 3 had hypertension. Dr Drici said: “We found that ‘caffeine syndrome’ was the most common problem, occurring in 60 people. It is characterised by a fast heart rate (called tachycardia), tremor, anxiety and headache. This entry was posted in Medical News and tagged Energy Drinks, health news, Heart Problems, new study. More than 190 caregivers, parents, and teachers convened at St. George’s University’s Bourne Lecture Hall at the end of June for the inaugural Caregiver Conference on Early Child Development. REACH Grenada and the Windward Islands Research and Education Foundation (WINDREF) brought together experts in early childhood development and infant-parent mental health, to focus on the importance of early adaptive interactions that benefit both the child and caregiver. Also in attendance were representatives from the United Nations Children’s Fund (UNICEF) Eastern Caribbean division as well as the Foundation for the Development of Caribbean Children. Dr. Edward Tronick, University Distinguished Professor at University of Massachusetts Boston and Harvard Medical School, delivered a keynote address on how infants make sense of their world. Over the course of two days, other topics were discussed such as “The Developing Child in Relationships” as well as “How Messy Social Interactions Lead to Positive Infant and Child Development” and “Working with the Child/Family System.” UNICEF and the Foundation for the Development of Caribbean Children have expressed interest in assisting REACH Grenada and WINDREF to plan future conferences, with the hopes of eventually expanding to other nations. This entry was posted in Uncategorized and tagged best caribbean medical schools, Child Development, St. George’s University, top caribbean medical schools. Researchers have observed the new mindfulness-based stress reduction (MBSR) technique of reducing high blood pressure or hypertension has some positive changes on patients. MBSR technique builds on recent research findings that a positive attitude towards life, keeping the mind free of too much stress, anxiety and following simple tips to de-stress and relax play a crucial role in curbing high blood pressure. Traditionally hypertension and high blood pressure are treated with medication, lifestyle changes and diet. According to a study by the Case Western Reserve University’s School of Medicine, the new MBSR technique was tried on a sample of about 100 patients aged between 30-60 years with pre-hypertension and high blood pressure, who were not under medication. These patients were required to go through body scan exercises, meditation and yoga for a period of 45 minutes six days a week. The mindfulness-based stress reduction program also included discussions on stress related topics and assignments to track the patient’s mood and anxiety levels. The researchers of the MBSR study noticed a considerable reduction in the primary conditions and resulted in a 4.8-mm Hg reduction in systolic blood pressure (SBP) and a 1.9mm Hg reduction in diastolic blood pressure (DBP). This entry was posted in Health News and tagged High Blood Pressure, MBSR study, New Age Stress Buster. 1. Diabetes is a silent epidemic and according to WHO there are 246 million people in the world living with diabetes. This is almost 6% of the world’s adult population. 3. India is the diabetes capital of the world. It is estimated that currently there are 40 million people with diabetes in India and by 2025 this number will swell to 70 million. This would mean every fifth diabetic in the world would be an Indian. 5. Diabetes causes 6 deaths every minute and one in 20 deaths in the world is due to the condition. Every year it is estimated that 3.2 million people in the world die due to the diabetes or its related causes. 7. Almost 90 to 95% of diabetes is of type 2 or maturity onset type; that affects people in their middle age. Type 1 or juvenile diabetes affects 70,000 children under the age of 15 years every year. 8. The major cause of increase in the incidence of diabetes is a sedentary lifestyle. Exercise and diet can either reduce or delay the incidence of diabetes by over 50%. 9. Diabetes is the number one cause of kidney failure in the world. Besides this every year it is responsible for 5% or 5 million blindness in adults and one million limb amputations. Diabetes is also an important cause of heart disease, stroke and cataract. 10. The current cost of treating diabetes and its complications in the world is estimated as US $ 215-375 billion. The disease is growing fastest in developing countries where there are more people in the lower and middle-income group. This entry was posted in Health News and tagged Facts About Diabetes, juvenile diabetes, major cause of increase, WHO.